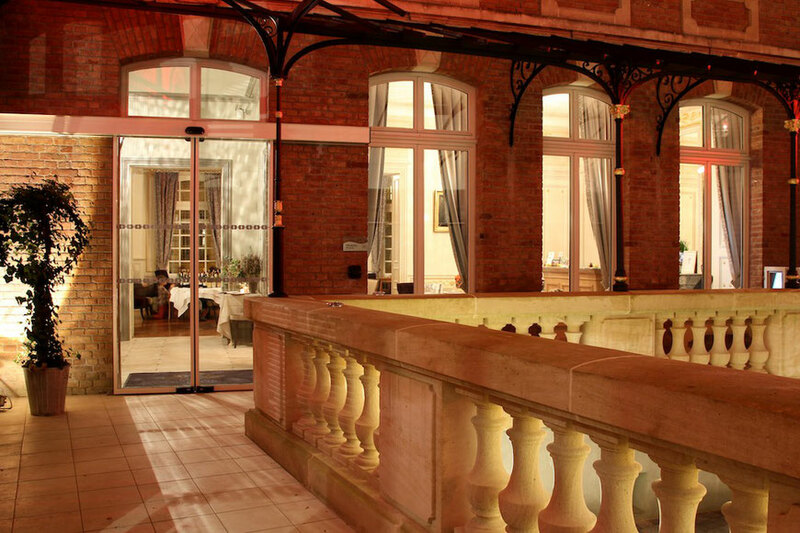 Traditional decorations, mouldings, 19th century style decorations and influences from the Belle Époque, the Hôtel Marotte is a beautiful 5 star boutique hotel with classical decoration. 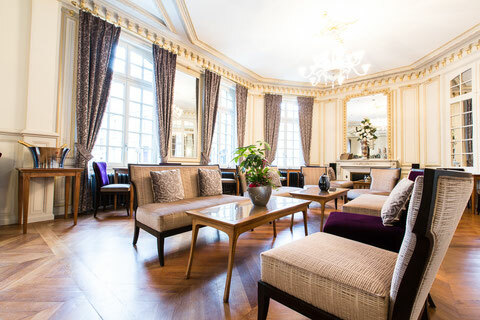 In these elegant and warm surroundings you will find a Breakfast Room, Lounge Bar and Tea Room, open every day, to Hôtel and outside clients. The Old House : with its classical interior, a traditional decor with mouldings and influences from the Belle Époque are to be seen everywhere. It is warm and elegant. The same environment can be found in the Bar Lounge and the Tea Room, as well as in the 8 bedrooms to be found in this part of the hotel. The Cube : This modern white cubic extension appears to be levitating. It was built following “BBC” construction standards (French equivalent of Low-Energy House) and has a green roof. This building houses 3 vast suites. The focus here is on relaxation with private spas and/or saunas. A Penthouse with a private terrace sits at the top of the Cube. 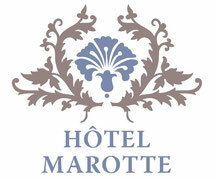 All floors, except the 3rd floor where the Chalet and The Superior Room can be found, are accessible by lift. Pets are allowed in the hotel only under approval by the direction. An extra cost will be charged. "This is a wonderful hotel. Warm, welcoming and helpful staff led by Estelle, who is super nice. Ask them any question about Amiens and you’ll get good advice. 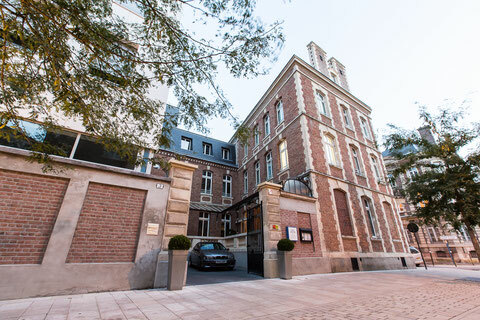 Located just 500m from the cathedral and walking distance to many other attractions in Amiens. Clean, tidy, spacious, comfortable bed, fantastic shower, internet speed fastest I’ve seen (250 Mb download, 75 upload). Parking (valet) cost €15 per night, which was reasonable - our car was already waiting for us in the courtyard when we came down.